Conservative media is having an unprecedented amount of sway in the American electorate -- and there are few outlets where the push for influence is more apparent than it is at Breitbart. Roy Moore went into Tuesday's special Senate election in Alabama facing allegations of sexual misconduct by women who said he pursued relationships with them when they were in their teens and he was in his 30s. Moore repeatedly denied the allegations and Breitbart chair Steve Bannon continued to rally for him. "I think if Breitbart had not come out and so stridently in favor of Roy Moore, and obviously Steve Bannon was also associated with that, I'd suspect Roy Moore might have had to drop out before the election," said The Hill's campaign editor, Will Sommer, who also writes a newsletter about the rise of conservative media called Right Richter. "At this point, it really matters much more whether conservative media stick by a candidate than it does whether Republican leaders do." Sommer might be right. While politicians on both sides of the aisle denounced Moore's alleged behavior, with some calling for him to drop out, the embattled candidate stayed in the race until the bitter end. As of Friday, Moore still has not conceded that he lost on Tuesday to Democrat, Doug Jones. 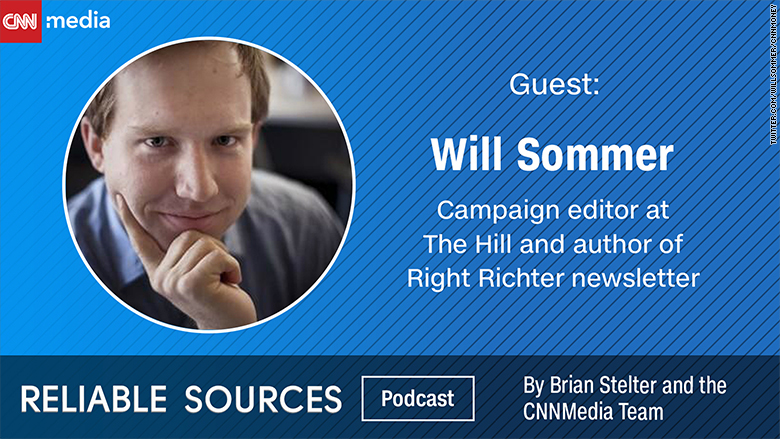 Breitbart's role in Moore's run is an example of how much conservative media has evolved -- a progression Sommer and Senior Media Correspondent Brian Stelter spoke about for this week's Reliable Sources podcast. Conservative talk radio holds the most influence, but many of the talking points actually stem from sites like Breitbart, the Daily Caller, InfoWars, and the Gateway Pundit, Sommer said. They're a starting point for ideas heard on the "big whale" of talk radio and communicated in speeches or panels on TV. "I would say talk radio really sort of sets the conservative line," Sommer told Stelter. "I think outlets like Breitbart for example are almost sort of like the lab where these ideas are cooked up and then if Rush Limbaugh is promoting an idea, that's when you know it's really sort of become mainstreamed within the conservative movement." The Rush Limbaugh Show has has been running since the 80s. "You'll see someone like the president or some other high-ranking Republican or someone on Fox News say something, and if you aren't following conservative media you would say, 'What the heck are they talking about?'" Sommer said. "But oftentimes it just originates from these real, like, internet fever swamps. And so it's interesting to watch it travel." One prime example, Sommer said, goes back to InfoWars' promotion of a conspiracy theory that linked the death of DNC staffer Seth Rich with leaked DNC emails. "There was this whole conspiracy theory around his murder and that kind of percolated for months, and then we... see it ending up on a local Fox station and Sean Hannity," he explained. While it's no question that websites like InfoWars and Breitbart retain influence in right-wing circles, not everyone considers the outlets part of the conservative media. Sommer noted that some publications like the National Review or the Weekly Standard might call it "offensive" to group all of the sources together. But outlets that brush aside such sites might be "pretending that InfoWars and Breitbart and so forth have not taken up a lot of their market share," Sommer said. So is the solution to call certain right-wing media "pro-Trump" instead of "conservative?" In Sommer's opinion, "it can be a little tricky." "I do think pro-Trump is a good catch-all because a lot of these people who are promoting Trump have ideas that are not recognizably conservative, as far as what we would think of conservatism before, say, 2015," he said. "At the same time, a lot of the sites like the National Review are not particularly anti-Trump so much as they are anti-anti-Trump. Someone like Ben Shapiro, they spend as much time as critiquing the left, not so much criticizing Trump."